Support your baby's little head everywhere and anywhere The Bopp Organic Fabric Head and Neck Support is perfect for bouncers, swings and strollers The cut-out design relieves pressure while keeping your baby's head safely cradled Featuring a cushioned removable neck ring that provides neck support for your baby through toddlerhood. 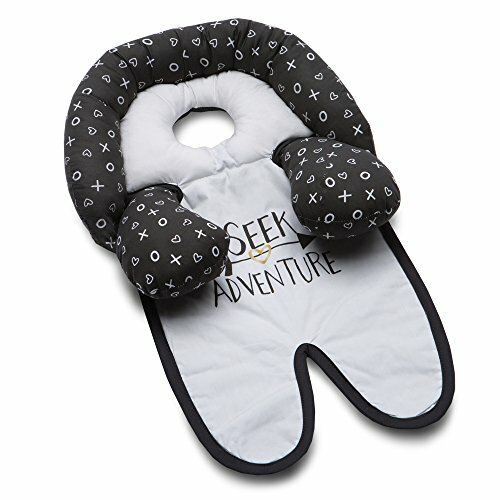 Unique, patented cut-out design relieves pressure while keeping your baby's head safely cradled. Removable neck ring provides support through toddlerhood. Simple to install in any stroller, bouncer, or swing. Works with 3 and 5 point harness systems. Organic cotton fabric. Machine washable for easy care.